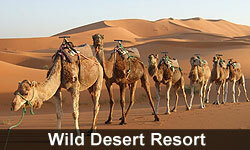 Rao Bikaji Camel Safari is a thrilling experience in an infinite ocean of sand in Rajasthan. The safari is a relatively new adventure in the long history of the desert. The beauty of the desert changes every season and it looks even more beautiful after rain. The beauty of the desert can be enjoyed by riding on camels or camel carts. Wide spread tranquillity greets tourists at every step. Bikaner is well known for its intricate architecture, huge palaces and forts, traditional dishes, garments and its medley of folklore and artistic footwear. Rao Bikaji Camel Safari offers you all that Bikaner has to offer! We are always ready to welcome you and guide your journey through the desert. 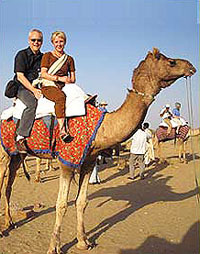 The Safari Company called "Rao Bikaji Camel Safari" was started by Yogendra Singh Rathore in 2003. It is commonly believed that the river Saraswati is buried under the Thar Desert. Water is found very deep here and so wells must be dug very deeply too. It is the same with the inhabitants of Bikaner, their hearts are as deep as deep wells with water. Sands may be dry particles, but not the hearts of the people. Sand dunes are beautiful to look at. They continue to be formed, shifting from one place to another and even destroyed. New dunes are formed every day. A new �dune� has been formed in the Thar city of Bikaner and that �dune� is Yogendra Singh Rathore, fondly called Rao Bikaji Camel Safari by his customers and friends. For all these years, Thar has seen many dunes taking shape, many of them never to be formed again. Rao Bikaji Camel Safari has earned a worldwide reputation today. 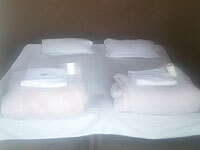 It is recommended by almost all the well-known tourist guides. 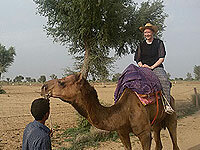 Rao Bikaji Camel Safari has been offering its services since 2003. The tourist groups are led by Yogendra Singh Rathore himself. Rao Bikaji Camel Safari (Yogendra Singh Rathore) also offers almost home from home accommodation in his own guest house, where you can have a great time experiencing the true Indian life style. Half Day Camel Safari starts from camel point to the village. Two hours Camel Ride with village visit. One or two people per camel depending on your requirements. 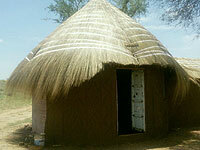 Accommodation swiss tents / mud hut Rs 900 per person attached bath room.